SharePoint Online is an enterprise-level file management program built to securely store files for your entire organization. SharePoint is structured into sites, sub-sites, and libraries to maximize organization and let you customize your site the way that makes most the sense for your business. Create user roles to give employees various levels of access to the site and set specific permissions for individual documents. 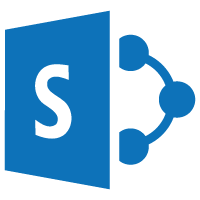 Because it is a part of Office 365, SharePoint Online connects with Delve and other Office 365 programs to improve collaboration and efficiency. Gone are the days of losing track of documents because of lackadaisical storage policies. With SharePoint, it is simple to keep documents in a single location where they can be checked in and out by individual users. Structure your SharePoint site in the way that best suits your business with sub-sites and libraries designed to be completely customized. Create managed metadata to make searching for files easier by giving them attributes based on file information like date added, file type, user added, and more. Your corporate files need a high level of security, especially when they include sensitive information. Access to files stored on SharePoint Online is managed by setting group permissions based on user and group roles. Permissions can be given and revoked for individual users by site administrators with the click of a button. As part of Office 365, SharePoint Online is built to meet the legal, technical, and regulatory security and compliance needs of your organization. Learn more about Office 365 security and compliance. When all files are stored in a single location, searching for documents can be time-consuming. SharePoint uses managed metadata to make searching for documents more efficient by adding detailed information about the document. Managed metadata tracks when the document was uploaded, when it was last changed, who has it checked-out, what type of file it is, and so much more. Add your own managed metadata terms and term sets to keep documents better organized and easier to search for. Go further than SharePoint with an Office 365 plan. Bundle great productivity apps for email hosting, video conferencing, document creation and editing, and much more.